Warner Bros. released a gorgeous new poster for 'Justice League' Saturday ahead of their highly anticipate San Diego Comic-Con panel. Reminiscent of the work of Alex Ross, the new poster features DC's iconic heroes gathered together with Batman centered and surrounded by Wonder Woman, Aquaman, The Flash, and Cyborg. 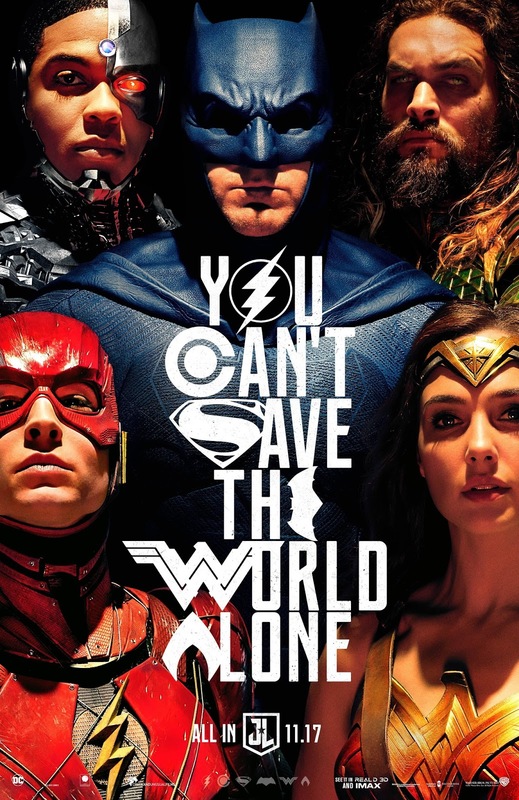 It's bold and colorful with a clever tagline design“You Can’t Save The World Alone” using the heroes' famous logos. DC Comics Justice League movies poster Warner Bros.
Labels: DC Comics Justice League movies poster Warner Bros.